I cant even being to tell you how excited I am for this book. 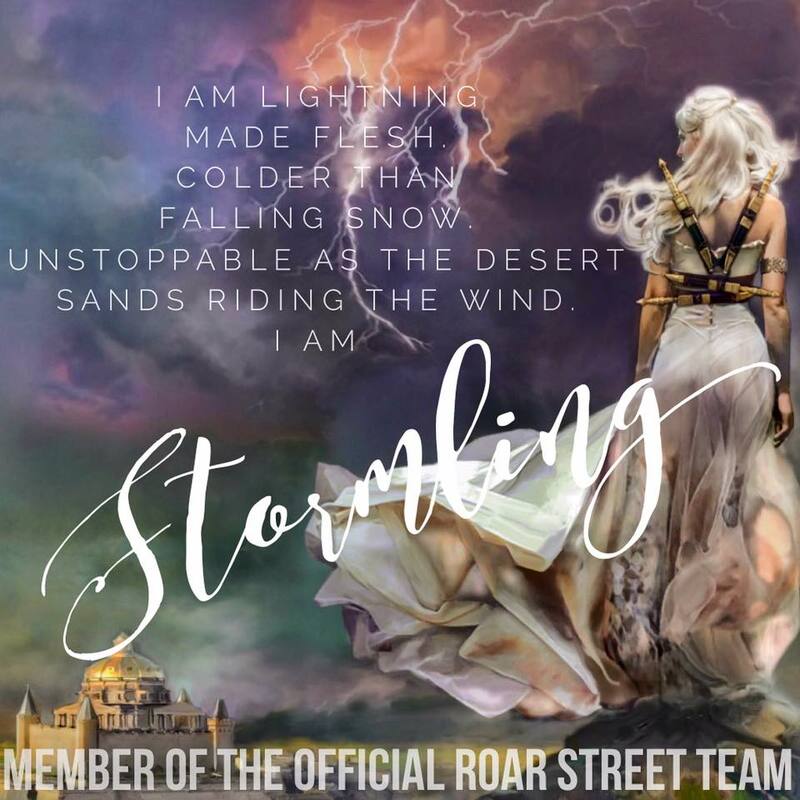 I have anxiously awaited the release of ROAR from the moment that Cora Carmack, the woman who introduced me to the world of New Adult literature, announced that she would be writing a Young Adult fantasy series. Fantasy books are my “go-to” reads. They take me to a place that’s like nothing in this world and some days, that’s exactly what I need. Cora’s books will always hold a special place in my heart, so to have the opportunity to read this one early and get to share my thoughts with everyone, has been such a surreal experience. Okay, so now on to what you really want to know. Cora’s writing is completely captivating. Her ability to weave a tale and create characters that are relate-able and unique is, dare I say, unparalleled. From the opening lines of this book she had me hooked! “He had waited for this day for many years. It had been the thing that kept him alive when all the others had died, that had kept him sane when madness was his only friend. It drove him forward when his life had not seemed worth living. Intrigued? That’s what I thought! In a world ravaged by storms, the only way to keep her family and her people safe is to control the storms. But Aurora has no storm magic to speak of. Her life has one filled with secrets. Secrets that have been kept in order to her safe. Her mother has arranged a marriage to Price Cassius of Locke. She finds him charming and strong, possibly that savior her people need. But when his true intentions are uncovered she finds herself heartbroken and desperate. Desperate to find a way to save her people and maybe, just maybe, find herself. "… what she had done felt worse. She had hoped. And hope broke more hearts than any man ever could." Aurora began looking for answers and finds herself in The Eye; A black market that deals in Storm Magic. She connected with a misfit group of storm hunters and embarked on an adventure that is both dangerous and exciting. Outside the walls of her castle and among people who became her friends, Aurora transformed into someone new. She found a strength, determination and power that wasn't there before. "How could she explain that she had spent her life dreaming of adventure, while simultaneously hemmed in by fear." This story was magical. The storm descriptions were breathtaking and unlike anything I've read before. This quote towards the end of the book very accurately sums up how I felt about ROAR "The book was neither unrealistic fairy tale nor harsh cautionary tale. It walked a fine line between hope and despair." If you weren't sure whether to pick this one up, or if you're wary because you're not usually a fantasy fan but you love Cora, make the plunge! I highly recommend this book to everyone. People of all ages will enjoy ROAR. Love the review. Great quotes!